Not a whole lot happened today. We didn't go out shopping, which is fantastic, and we had leftovers from my parents so nothing needed to be cooked... That basically meant I booted up and played a lot of Skyrim. I haven't played a game this heavily since the early days of World of Warcraft. I am thankful this is not an MMO and there are no raid dungeons, because I appear to have poor impulse control when limiting myself on video games. And that photo? 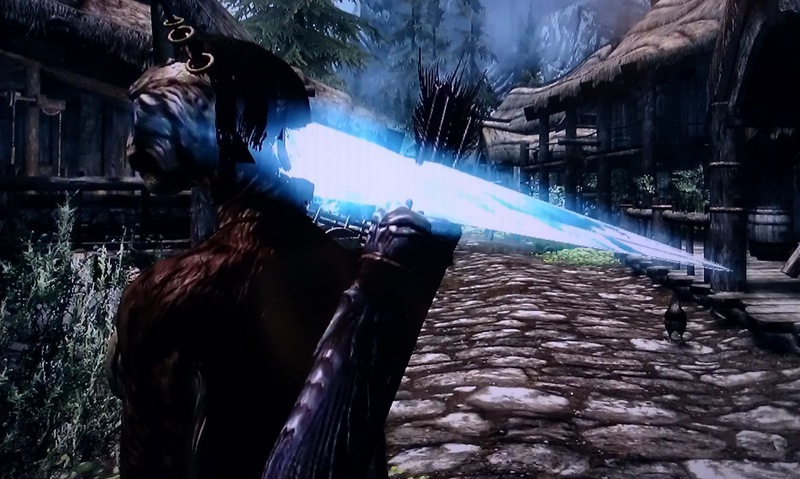 That's a photo of my character with an icicle stuck in her skull. Why? One of the numerous amusing glitches in the game. Chris helped me out in getting rid of it.